Calming Chants for a Crazy World with Kitzie Stern. Each and every week, voice-over actress Kitzie Stern lovingly creates a playlist of her favorite kirtan music. 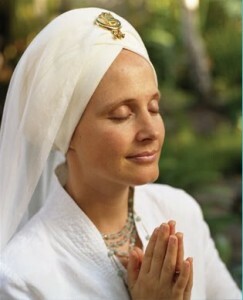 Kirtan is a very simple & powerful way to meditate. It’s effortless & joyful; music does the work for you as you flow with the melody & rhythm. In this exciting show Kitzie and I will share our love of kirtan and hopefully play some of our favourites for you.